Every $1=1 meal and helps us put food on our neighbors' tables today through our daily programs - the Market, mobile food pantry sites, Wednesday meal, home delivery, holiday assistance. Our Neighbors' Table is a registered 501c3 charity. All donations are tax-deductible in accordance with IRS guidelines. Many companies will match the charitable donations made by their employees (and sometimes retirees or employees' spouses). Just check with your Human Resource Department about your company's Matching Gifts Program and ask for the Employer Matching Gift Form. Fill in the required information and email, fax, or mail the completed form to Our Neighbors' Table. We'll take care of the rest! When your portfolio is doing well, why not make a securities donation to support ONT? Visit our Securities Donation page for more information. Students raise funds each year at their Souper Bowl Campaign! 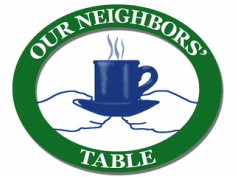 Host a fundraiser in honor of Our Neighbors' Table! This is a great way to let your family and friends help you relieve hunger in your community. We are thankful for the support we receive from groups, organizations, schools, families and friends who think of ONT to be the beneficiary of their event or fundraiser. Check out our Food Drive resources page for ideas and tips! If you need any information or resources from Our Neighbors' Table, please contact Lesley. Meal Sponsor & Serve opportunities are available for groups of up to 8 people (age 16+) for the Wednesday Meal, Wednesdays 3:30-6:30pm. The forms here will get you started. Market Sponsor & Serve opportunities accomodate groups of 4-10 people with shifts morning, mid-day, or late afternoon/evening each Wednesday, Thursday, Friday and Saturday. Pay tribute or memorialize a loved one and help fight hunger with a gift to Our Neighbors' Table. 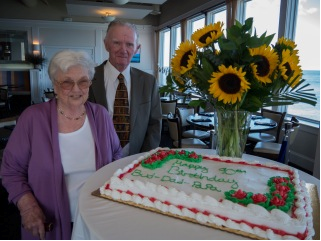 Request donations in lieu of birthday, holiday, or memorial service gifts. If you would like to arrange for others to make donations in your honor or that of a loved one, please contact Lesley Fawcett, Development Manager, in advance. We will provide you with lists of donors so that you may thank them personally. All donation amounts are kept confidential. 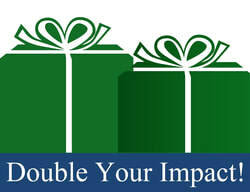 Donate your Car, Boat, Truck, RV, Jet Ski or Snowmobile to Our Neighbors' Table and receive a tax deduction. You can start the process by filling out the online for at DonationLine, our fundraising partner. Or you can call them at 877.227.7487 and ask for extension 2147.